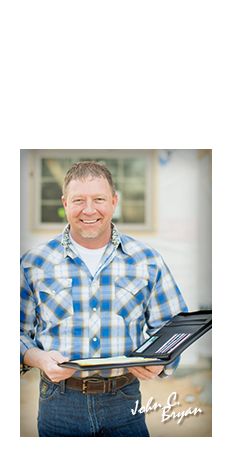 J.C.B Builders was established in 1997 by Lufkin native John C. Bryan . A third generation master carpenter by trade , John made a name for himself first as a framing contractor constructing over 400 homes in the East Texas area. He is now working on expanding to provide service to Houston, The Woodlands, Conroe, Livingston, and other surrounding areas. Since making the transition to a custom home builder J.C.B. Builders quickly earned the reputation as one of East Texas’ elite home builders. JCB has enjoyed its growth mostly through the reference of its satisfied home owners. Reputation is everything and John goes over and above to guarantee the satisfaction of each and every home owner. A longstanding member of the Better Business Bureau, J.C.B. Builders holds an A-Plus rating as an accredited business with never having a customer complaint since its inception. Also a member of the National Association of Home Builders , the Texas Association of Builders, and past president of the Deep East Texas Association of Home Builders. JCB Builders was voted the #1 Home Builder in 2010, 2012, 2013, 2014 and 2015 in East Texas. JCB Builders has also won the People’s Choice Award in the Parade of Homes. John is active in his community as a member of the Lions Club and Trinity Baptist Church.